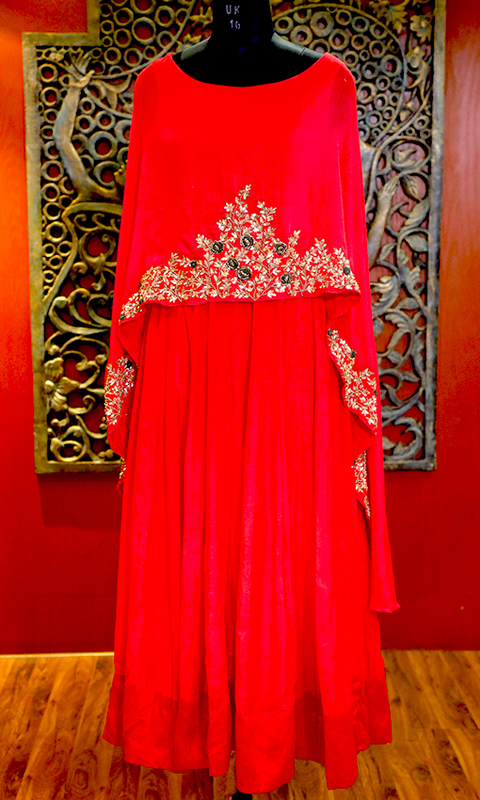 Aparnaa has two broad verticals - Ethnic wear & Fabrics. 1. Ethnic Wear: We develop & design the latest ethnic fashion craze by handpicking our colors and cuts to cater to the upcoming trends for all age groups. Want to wear the sari you saw your favorite celebrity wearing? Want simple yet trendy everyday kurtis? Want to make head turns at the upcoming party? Want the latest rage of palazzos and skirts for the summer? You will be spoilt for choice amongst our wide array of sarees, suits, kurtis, tunics, Indo-westerns, palazzos, Skirts, lehengas etc - Your one-stop destination for Fashion! 2. Fabrics Fashion: What do the top designers of Kolkata have in common? They all shop at Aparnaa for their fabrics! Come to find the trending fabrics at our ethnic fabric store and you will be amazed at the variety you will behold! We have everything that you need to create and innovate. Find the largest variety in terms of the type of fabric, designs & colors from all over India brought to our outlets. What’s more? We develop and design the latest trends – So if you want to be ahead of the crowd, you know where to shop. Come and get lost in our land of creativity, amidst our huge consortium of handwoven banarasis, trendy cotton, fancy fabrics, traditional, dupattas, laces, borders, latkans etc - Everything you need to get creative! 101 Park Street, Siddha Point, 4th floor. 15/1A Loudon Street, Ground, 1st & 2nd floor. Copyright © 2017 All Rights Reserved | Aparnaa Sarees Pvt. Ltd.